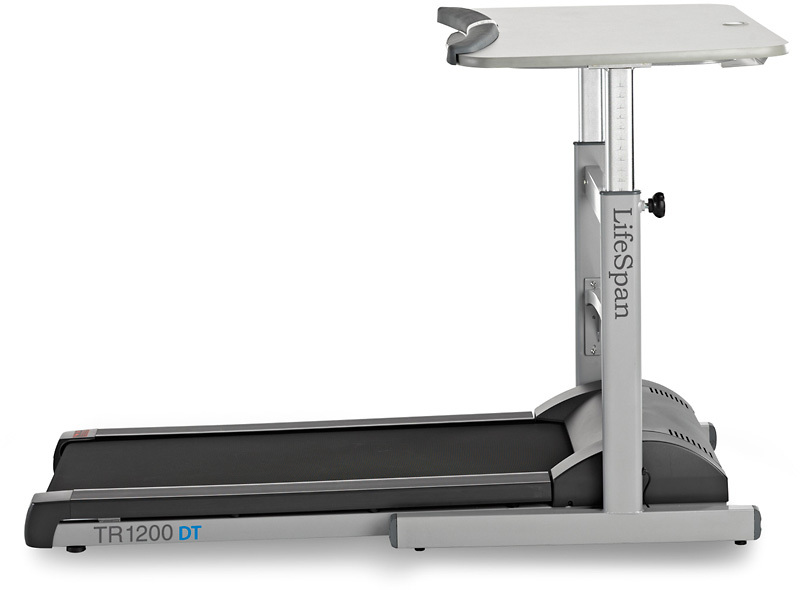 Awarded the Best Buy Award by Treadmill Doctor and featured throughout many news articles including CNN, Yahoo!, Popular Mechanics and Smart Money, making the TR1200-DT5 Treadmill Desk is our most popular model. 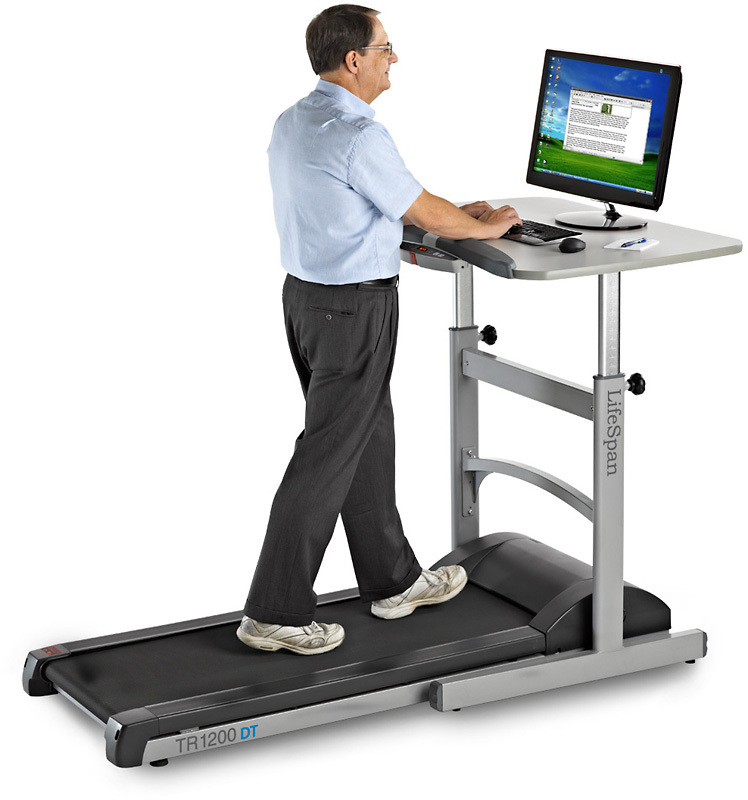 Made for the mid-level user, it s the perfect option for single users who expect to do a lot of their work on the treadmill desk or for small teams expecting to share throughout the day. 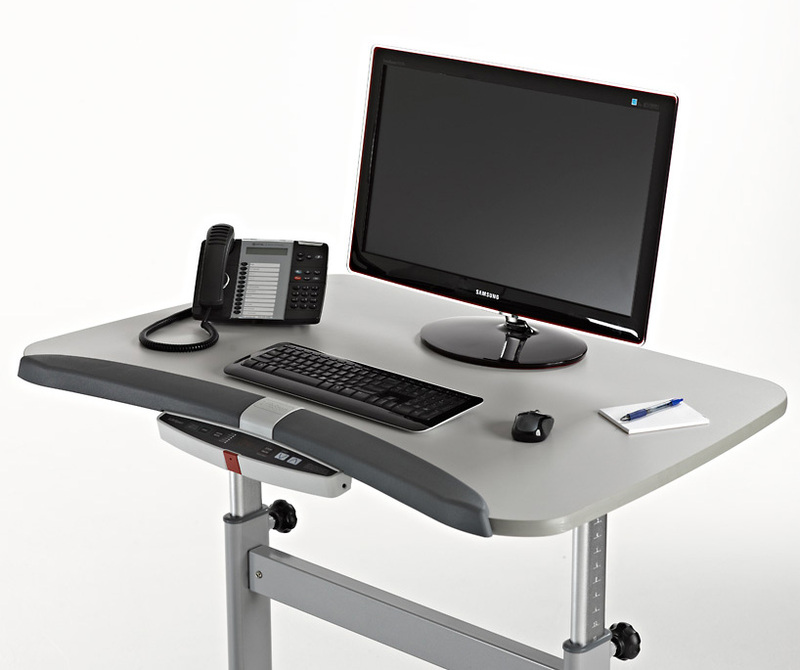 This is coupled with our DT-5 manual height adjustment desk great for individuals or small teams where height adjustment is infrequent. 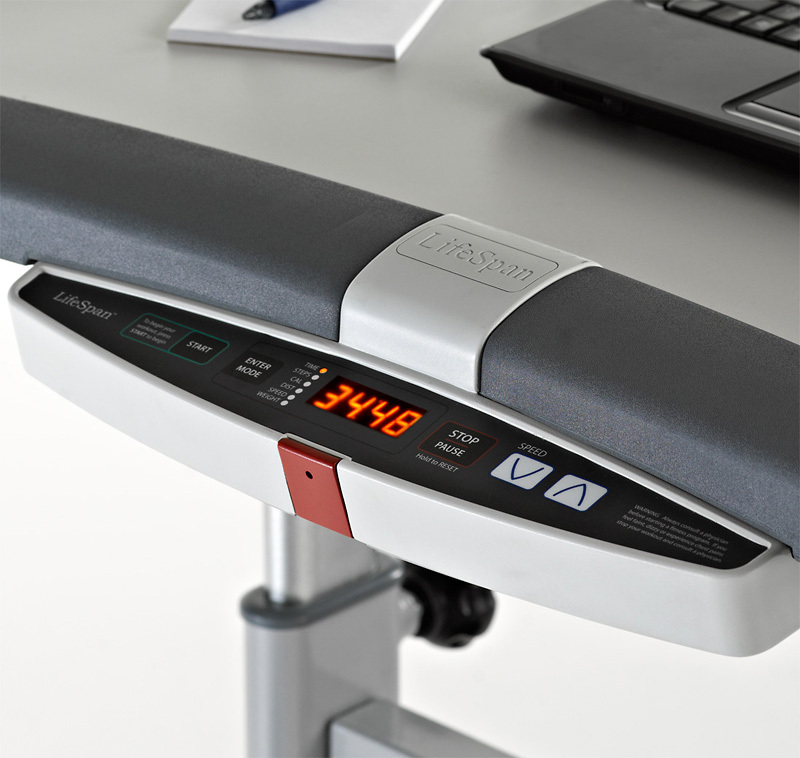 If you think height adjustment will be more frequent, check out our DT-7 electric height adjustable desk, this makes adjusting for each individual easy as 1-2-3. Spending too much time at your desk sitting (even if you do get the recommended 30 minutes a day of exercise) leads to obesity, diabetes, heart disease and even cancer. This is a bold statement, but the reality is that our bodies simply are not designed to sit for extended periods of time. Sitting all day while we work, or more commonly called "having a sedentary lifestyle," has only recently become a trending topic in health and fitness, but studies of the affect of sitting while working vs. standing (and moving) while working date back to the mid-twentieth century. In an article by Maria Masters (Men's Health) she recounts a British study published in 1953 where scientists examined two groups of workers: bus drivers and trolley conductors. The bus drivers were more likely to sit down for their entire day, the trolley conductors were running up and down the stairs and aisles trolleys. As it turned out, the bus drivers were nearly twice as likely to die of heart disease as the conductors were. Marc Hamilton, Ph.D. from the Pennington Biomedical Research Center has labeled this area of science "inactivity physiology." He found that when the leg muscles are not used for a few hours, our levels of the enzyme lipoprotein lipase (LPL) drop off severely. This protein's main role is to break down fat in the bloodstream to use as energy. He states simply, "humans sit too much... the cure for too much sitting isn't more exercise. Exercise is good, of course, but the average person could never do enough to counteract the effect of hours and hours of chair time." Increased risks of heart disease and obesity are just a couple of the health hazards related to a sedentary lifestyle. Lower back and hip pain, poor balance and mobility are also associated with prolonged periods of sitting. The list of ailments caused by too much sitting goes on to include higher risks of diabetes, depression and even cancer. Christine Friedenreich, an epidemiologist at Alberta Health Services/Cancer Care suggests that her research has found that inactivity is linked to an additional 37,000 cases of cancer. The research that has been done in the last few years on the dangers of sitting is nothing short of alarming. Sitting has become the new smoking. The good news is that the solution is easy and quite natural Â— just reduce the amount of time spent sitting. 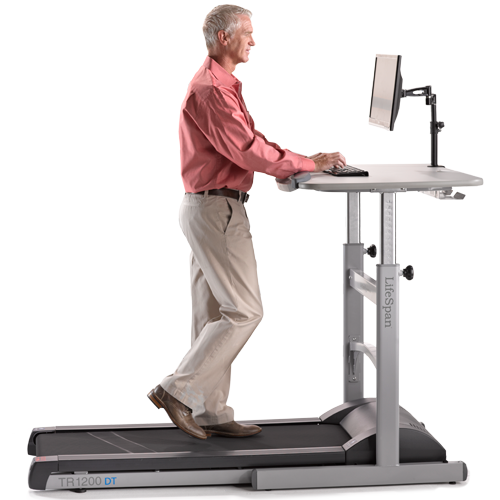 Finding additional time in a hectic work day for more exercise can seem impossible, but with the LifeSpan Treadmill Desk taking the place of an office chair, not only can you eliminate the inactivity in your workday but you will find that you will have an increase in energy as well as productivity. This product is Bluetooth-enabled to wirelessly sync your data to your computer with a specially designed app that sits on your computer desktop. Track steps taken, walking time, calories burned and distance traveled all on your computer screen as you walk. 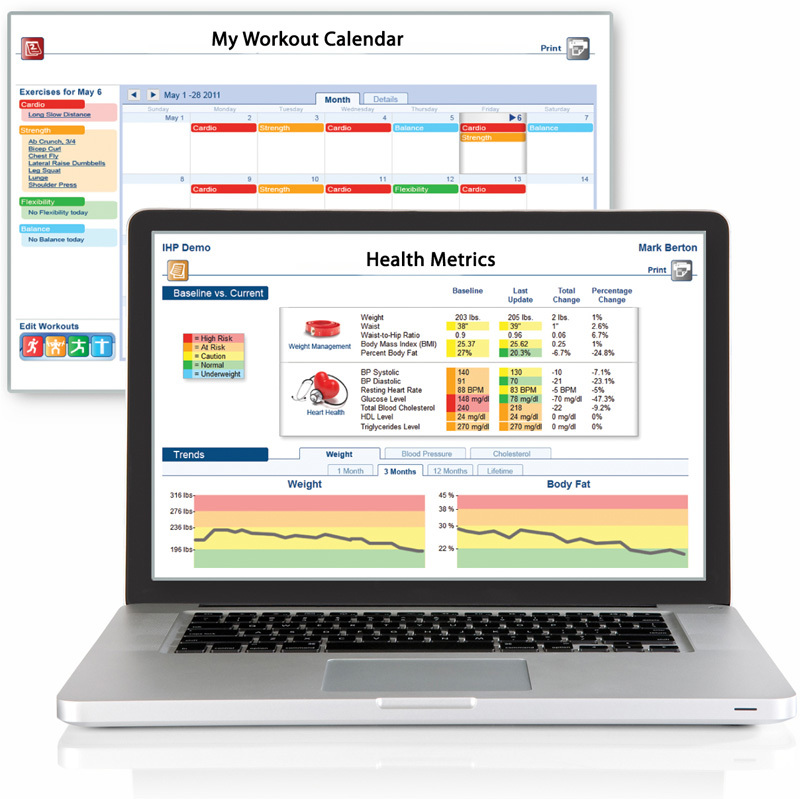 Once complete, sync your data with your online LifeSpan Fitness Club account to record your walking history. This console is perfectly located for easy access without taking away your desktop area. The digital LED display shows steps taken, walking time, calories burned, distance traveled and walking belt speed. The console has a safety key that shuts down the treadmill when removed. The padded armrests add comfort and support to help avoid wrist fatigue in long work sessions. The TR1200-DT5 comes standard with two LifeSpan trademarked technologies: The built-in Intelli-Guard™ pauses the belt if you step off. This is our unique safety feature for the user and those around them. When your foot no longer continuously strikes the belt surface for 20 seconds, your treadmill will automatically pause.The Intelli-Step™ feature counts and records the number of steps you take and displays them on the console. This feature automatically detects the impact of your foot striking the treadmill belt. Increasing step count is one of the foundations of the American Heart Association’s recommendations for improving heart and overall health.